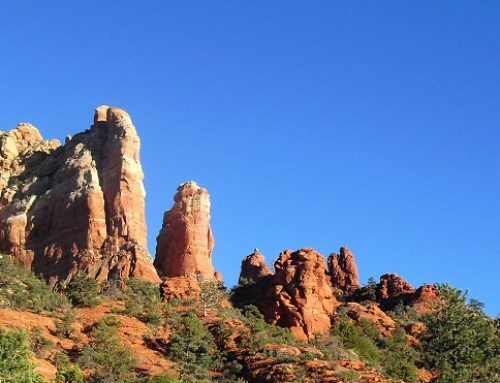 If you’re planning a trip to Sedona this weekend, or looking for a quick getaway, there are plenty of things to do in Sedona! From ice skating to the lighting of the Christmas Tree to the Festive First Friday Holiday Tour to the Holiday Dinner Show by Tom & Shondra! These are all wonderful events you do not want to miss! “Sedona’s Tree Lighting & Santa Visit” is Friday, December 6, from 5:00 – 7:00pm, at Canyon Breeze Plaza, SR 89A in Uptown. Enjoy caroling by Canyon Singers, the tree lighting, Santa’s visit, and youth group performances. For family fun there’s ice skating at Posse Grounds Park, December 1-8, skates are included and there is no charge. Tlaquepaque’s Festival of Trees wraps up Saturday 11:00 – 7:00 pm, come out and see these uniquely and creatively decorated trees! The Blazin’ M Ranch will feature a holiday show to get you right into the spirit of the season! Be entertained by the Blazin’ M Cowboys singing timeless classics, along with comedy, storytelling, and some special surprises, now through December 28. Saturday, December 7, from 8:00 – 10:00am is Breakfast with Santa and the Jingle Bell Run (the run is at 7:15am)! The run takes you on a walk around the park with bells on your feet. 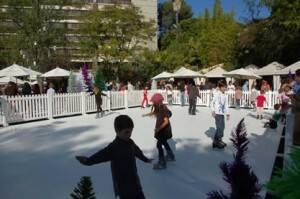 On Sunday, December 8, there are two exciting events to take in. At 2:00pm the Red RockAppella Chorus rings in the season with a free holiday concert and community sing-along at The Church of the Red Rocks, located at 54 Bowstring Drive. Then starting at 7:30pm is Tom & Shondra’s “Broadway Wonderland” Holiday Dinner Show, presented by Relics Restaurant. Songs include show tunes from Les Miserable, Wicked, and more, sprinkled with holiday favorites such as Winter Wonderland, Happy Holidays…! For information and reservations call (928) 282-1593. 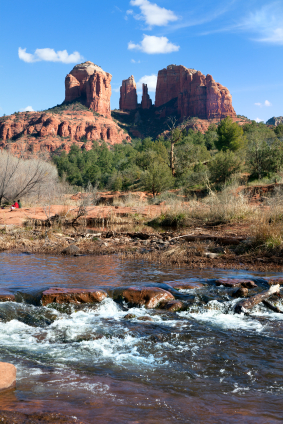 Take a trip to Sedona this weekend; enjoy the events and excitement the city has to offer. 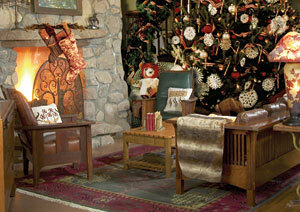 Make sure you book your room at El Portal Sedona Hotel, Sedona’s favorite pet friendly hotel 1.800.313.0017. The boutique hotel is a two minute walk to Tlaquepaque with galleries, artisan jewelry, toys, fine, casual dining – the most eclectic shopping in the Valley. 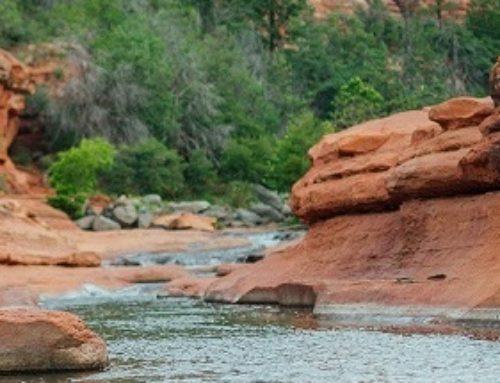 We offer our guests personalized concierge services for the Sedona area – whatever you need information on, what to do, where to go, what’s happening, we will help you out! 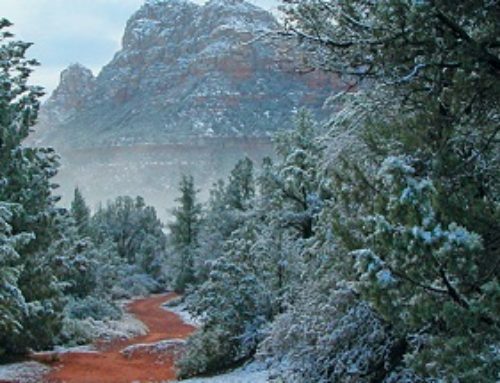 I have never considered visiting Sedona during the holidays, but the older I get the more I want to be where it is warm during the winter. I will have to look more into the Holiday Dinner Show by Tom & Shondra. I am always one for a production. Thanks for sharing.